MatraSport Forum > Each model > Bagheera > Balljoints and bearings? From wich model do they fit from the simca family? I do need balljoints for upper and lower trailerarms and berings for rear wheels and so on. Anybody that have any tip of easy-to-find-parts? Upper balljoints are easy to find. Shared with Horizons, Solara, 1307,8,1510, 1100, Murena, ranchos and others. For the bearings, also 2 types ... What is your chassis number, do you still have the original arms ? Bakhjulslager kan du köpa från Autofrance i Helsingborg. Ring 042-201620 och tala med Benny! Oh, perfect, why didn't i think on that. I have a good contact with him when i order parts to my citroën and peugeot's. 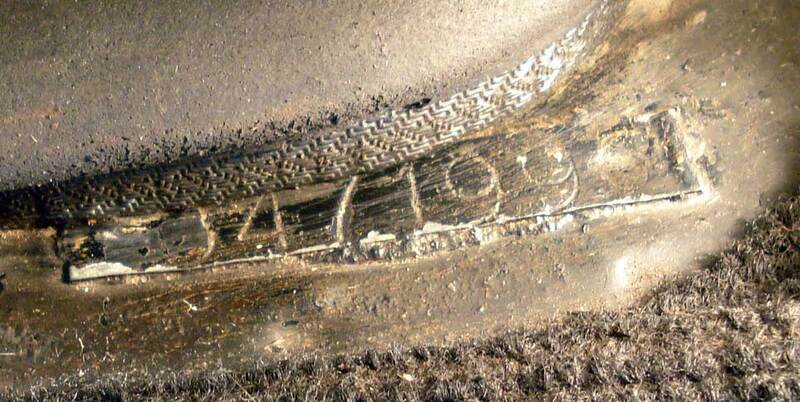 I believe that the numbers are the body numbers found at the engine lid. X35505X113245, does it say on the chassis on the passengerside under the windscreen. It is an aluminium plate in the trunk with the chassisnumber on too. And one thin alu-plate in the spare-tire-room. I think it is the metal strip with a number at the rear right corner of the engine lid. You have a 1975 1290 cc Bagheera. So all the first bearings. Concerning the chassis numbers and plates. An important remark is that your Bagheera may differ due to local legislation (which may have evolved with the years) Here, in Belgium, on some of my Bags, I got an additional plate. Normally the chassis number is stamped on the passenger side, front of the windscreen. On the opposite site, close to the wippers engine, you'll find another number starting with ... a country code. (FRA for France, BEL for Belgium, ALL for Germany, ...) and last, in the boot lid, what you have on the pictures. Thats very intresting, i don´t think i have one of such but i will check the next time i'll be in my garage.